What Data Science Tool Have you used in the past 12 months? 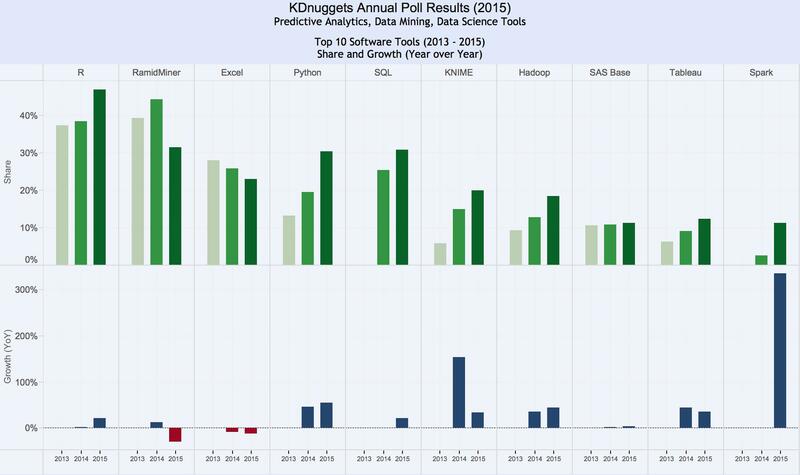 The results of the 16th annual KDnuggets Software Poll were recently published. This poll asks “What Predictive Analytics, Data Mining, Data Science Software/Tools have you used in the past 12 months?”. This poll attracted 2,800 voters, and it is also worth mentioning that it sometimes attracts controversy due to excessive voting by some vendors. 93 different tools were included in the poll. 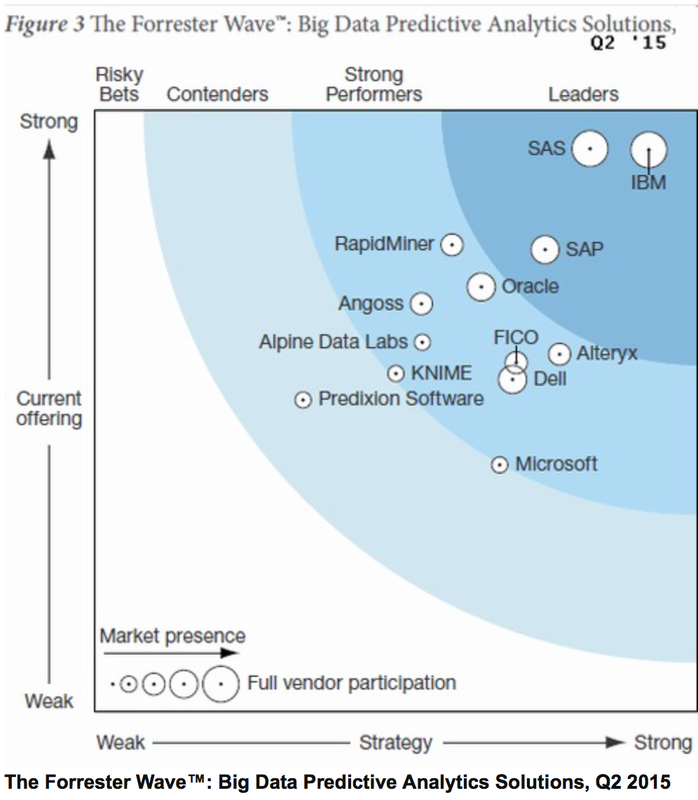 To determine which tools are included, they start with the companies in Gartner Magic Quadrant(tm) for Advanced Analytics and Forrester Wave(tm) for Big Data Predictive Analytics, and add companies/tools from last year poll, and relevant new ones in the market. 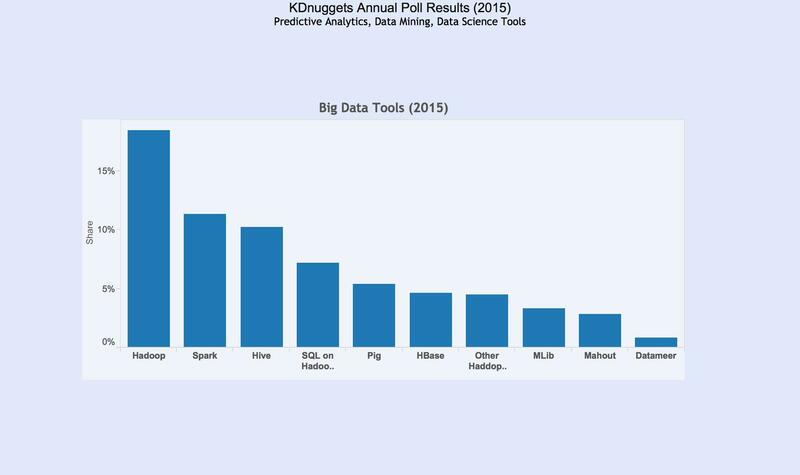 R is the tool most frequently used tool in this community of data scientists, but other tools are growing rapidly (Spark, KNIME, Python). 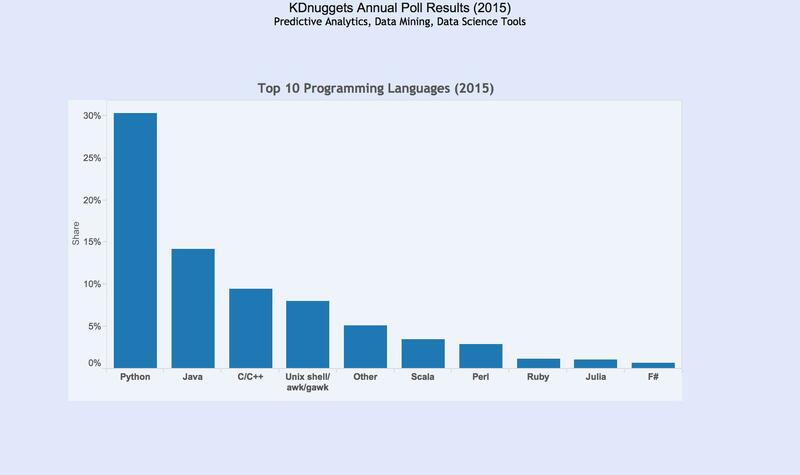 In terms of programming languages, Python is the clear leader. 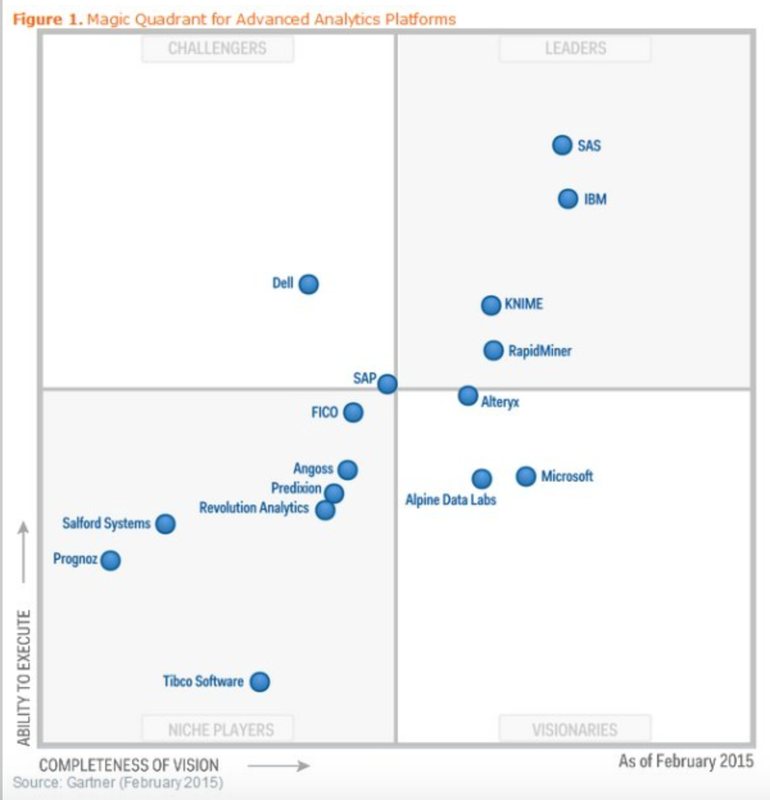 And Hadoop is the clear leader in the Big Data Tools space. This entry was posted in Analytics, Data Science. Bookmark the permalink.